DeMontrond Collision Center strives for exceptional collision repair work and customer service by “Getting it Done Right the First Time”. 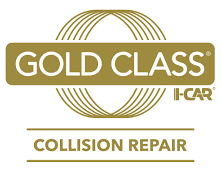 All of our I-Car Certified Collision Repair Centers offer an easy and convenient drop off process with In-House Enterprise Rental locations and shuttle assistance to ensure you are back on the road in no time. In addition to working with all insurance companies, all of our locations are partnered with multiple insurance carriers as direct repair facilities to provide a fast, streamlined repair process. We understand that it can be confusing and frustrating when dealing with an insurance company claim, but we’ll be happy to answer any and all questions or processes. We truly care about the work we do and it starts with our staff which are fully committed to getting you back on the road safely, fast, and satisfied. Our service is second to none and you will notice the “DeMontrond Difference” when you walk through our doors. We back up our claims with a written Lifetime Warranty on all paint and body repairs that will guarantee that shine will last a lifetime. Give us a call or come by and you will understand why people choose DeMontrond for all of their Collision Repair needs. We have 4 Great Locations to Serve You Better!